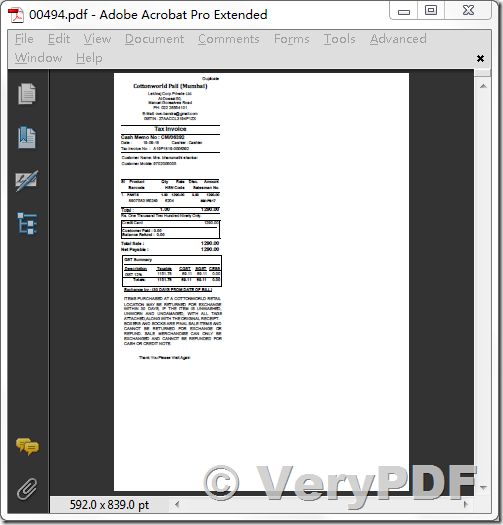 ← How can I convert from PRN files to PDF files? When I am trying to convert spl file directly through command line then its working but when I am trying to convert through application(At client side) it's not working and showing "Invalid spooler file". Please find attached spool file for your reference. Thanks for your sample SPL file, I tried to convert your SPL file to PDF file just now, everything is fine. Thank you for choosing 'VeryPDF SPL to PDF Converter Command Line' product. [OK] Create "D:\downloads\00494.pdf" file(s) successful. This entry was posted in Spool File Page Counter SDK, VeryPDF SDK & COM and tagged emf to pdf, SPL to PDF. Bookmark the permalink.